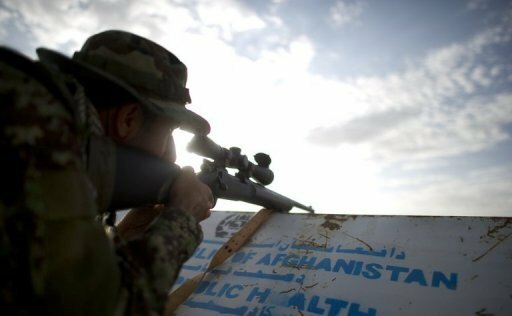 An Afghan policeman in Paktika province woke up and shot 9 of his fellow officers including his own brother. Then he got in a truck and drove off. An Afghan policeman killed nine of his fellow officers as they lay sleeping in a village in the eastern Paktika province on Friday, police said, blaming the attack on the Taliban. Provincial police chief Dawlat Khan Zadran said the incident took place in Yayakhil town of Yayakhil district. Bowal Khan, chief of Yayakhil district, identified the gunman as Asadullah, who goes by one name. He said the gunman was assigned to a small command post when he woke up at 3 a.m. for guard duty. He then used his assault rifle to kill the nine men sleeping inside the post, took their weapons and piled them in a pickup truck. According to Khan, Asadullah then sped away in the truck. Khan said the victims included one of his brothers and the commander of the post, identified as Mohammad Ramazan. He said two of the dead were Ramazan’s sons. The motive for the killing was not known, but police in the area blamed the Taliban for the attack. Paktika is a stronghold of the Haqqani network, a Pakistani-based group with ties to the Taliban and al-Qaida. Although they mostly attack U.S.-led coalition forces, they have often carried out assaults and bombings against the Afghan army and police.